Today the Supreme Court decided Whole Woman’s Health v. Hellerstedt in favor of women, calling Texas’s most recent anti-abortion law unconstitutional and staving off the latest attempt by the power structure to control women’s bodies. The outcome is a win and a huge relief for women in Texas and beyond; it reinforces and strengthens women’s right to abortion across the United States. However, it is the latest example of a small group of “experts” deciding women’s fate while we are expected to passively wait and see how our lives will be affected. We demand control over our reproduction. We demand repeal of all abortion laws. Abortion rights were and are won by everyday women joining together in groups and daring to publicly tell the truth about our abortions and our fears of the consequences of unwanted pregnancy. We have never been “given” abortions rights by the Supreme Court. The court responds to pressure from women. We first saw this in New York in 1969, when a group of radical feminists who would soon call themselves Redstockings disrupted an abortion reform hearing consisting of a panel of “experts” — 14 men and a nun. There the feminists proclaimed: women are the experts! We know that the right to birth control, including abortion, is a cornerstone of our freedom. We know that we must control if and when we have children so we can determine the direction of our lives and be on equal footing with men. Like today, the law that passed in New York after 1969 was a huge win for women, but it was reform. Abortion was permitted but with certain restrictions, restrictions that would become the model for Roe v. Wade, that continue to dictate women’s ability to control our reproduction, and that were at issue in Whole Woman’s Health. What we needed in 1969, and what we need today, is full abortion law repeal. So long as we have abortion restrictions, we will have to defend what we have gained and fight against efforts to expand these restrictions. Abortion law repeal will give us real access to abortions. 9 people on the Supreme Court are not experts on the lives of women any more than 14 men and 1 nun were. Without an organized, strong feminist movement making radical demands and keeping up the pressure, our victories will continue to be attacked and eroded. We need to strengthen the radical movement to turn this around! 1) Go to a feminist meeting and/or become a member or donate to a group, whether it be National Women’s Liberation or another feminist organization. 2) Speak out about why you need abortion and birth control. 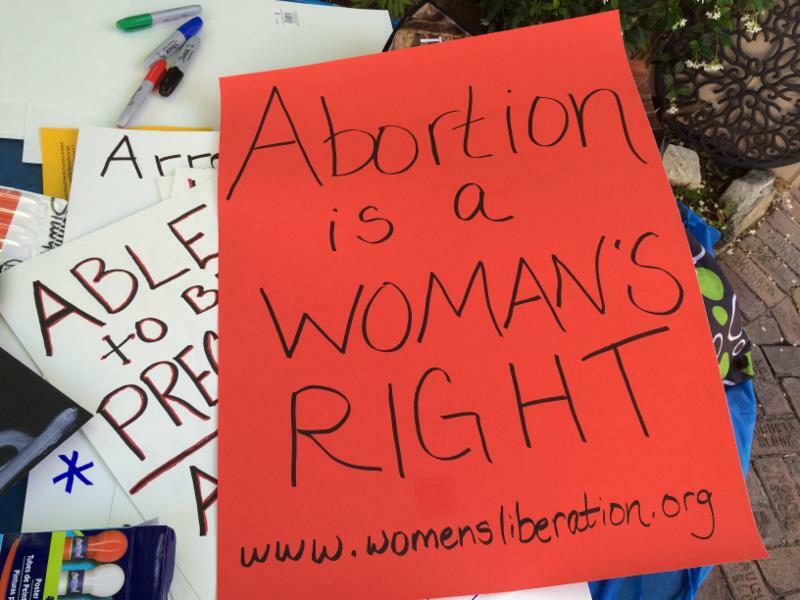 Earlier this month, our chapters in New York and Florida organized speakouts about birth control and abortion, and why access to both is critical. We encourage women around the country to organize events where women can testify about their need to control their reproduction. Use our abortion speakout packet, available on our website. 3) Visit us online, womensliberation.org, follow us on Twitter, @4womenslib, and like us on Facebook, facebook.com/nationalwomensliberation, to learn what we are doing and how you can join us.